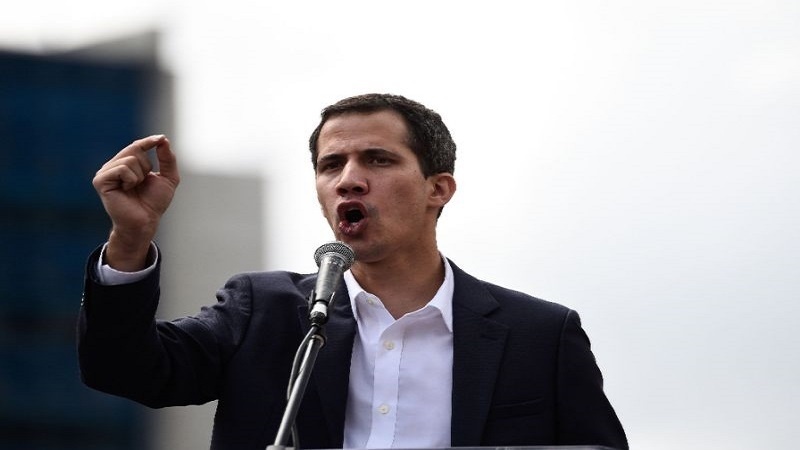 Washington-supported Venezuelan opposition leader Juan Guaido announced that he is working to restore Caracas’ ties with Tel Aviv, a move that could disclose the United States’ hidden agenda for the Latino nation. “I am very happy to report that the process of stabilizing relations with Israel is at its height, something that is very important for us,” Guaido told the Hayom daily. The usurper regime of Israel has moved to recognize Guaido’s claim to power in Venezuela, after the United States spearheaded the regime change effort in the Latin American country. “Israel joins the United States, Canada, most of the countries of Latin America and countries in Europe in recognizing the new leadership in Venezuela,” Prime Minister Benjamin Netanyahu said in a brief statement in late January. Guaido pledged that a formal announcement on re-establishing bilateral ties and opening a new Venezuelan embassy in (the occupied lands called) Israel would come “at the proper time”. “First and foremost, we want to resume [Venezuelan-Israeli] relations and then we will inform you about the appointment of the [Venezuelan] Ambassador to Israel, and we do hope that an ambassador will come to us from the Jewish state,” Guaido stated. Caracas broke off diplomatic relations with Tel Aviv under former Venezuelan President Hugo Chavez, in protest against Israel’s military campaign against Palestinians in the Gaza Strip in the winter of 2008-2009.